Geneva, 12 May – 12 June will see the start of one of the most exciting events of the year, one that has been awaited for four years by many fans across the world. 32 teams from five continents will meet in Brazil, for the 2014 FIFA World Cup™, where the best football nation in the world will be crowned, a title that only a few teams across the world have had a chance to claim. There have been 19 FIFA World Cup™ tournaments, won by eight different national teams. Brazil has won five times, and they are the only team to have played in every tournament. The other winners are Italy, with four titles; Germany, with three wins; Argentina and inaugural winners Uruguay, with two; and England, France, and Spain, with one title each. Who are the favourites? Who will enlighten the tournament with the best style of play? Will star players like Balotelli, Messi, Ronaldo, Neymar, Iniesta, Ribéry or Rooney shine and enter the World Cup legend? The FIFA World Cup™ is the biggest single-event sporting competition in the world, and the world's most widely viewed sporting event (an estimated 715.1 million people watched the final match of the 2006 FIFA World Cup held in Germany). MSC Cruises wants to ensure that its guests will thoroughly enjoy the event, no matter where in the world they will be. To do so, the company secured a partnership with Sport 24 throughout the competition so that guests are able to watch all 64 games of the competition, which will be broadcast live in the public areas of the ships. Emotions, exhilaration, fun and lasting memories are guaranteed! In addition to the games being shown aboard the MSC fleet, themed entertainment and exciting activities will be organised for the pleasure of MSC guests. 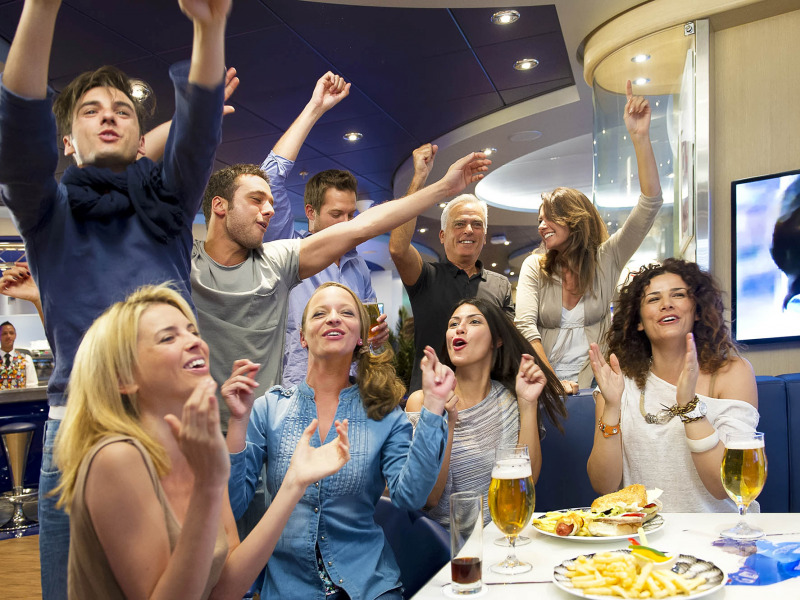 In the days leading to the beginning of the competition, a “Sailaway Pool Party World Cup Edition” will be held aboard all the MSC Cruises’ fleet. Other games will include the MSC World Cup Championship – a table football tournament where many teams will compete against one another, and marvellous MSC prizes will be won by the participants; the MSC World Cup game – a great team game where teams have to challenge each other in some funny water games, to win MSC prizes; World Champions Quizzes, where guests can take part in a football-related quiz competition. Arts and crafts enthusiasts will have the opportunity to make their own football shirt, by creating t-shirts with the colours of their favourite teams. Last but not least, during the final stages of the Tournament guests will have the possibility to bet on who will win the match. Their bets will be collected in two boxes (one per team) and at the end of the match, the name of the winner will be chosen from the winning box, and MSC prizes will be awarded. 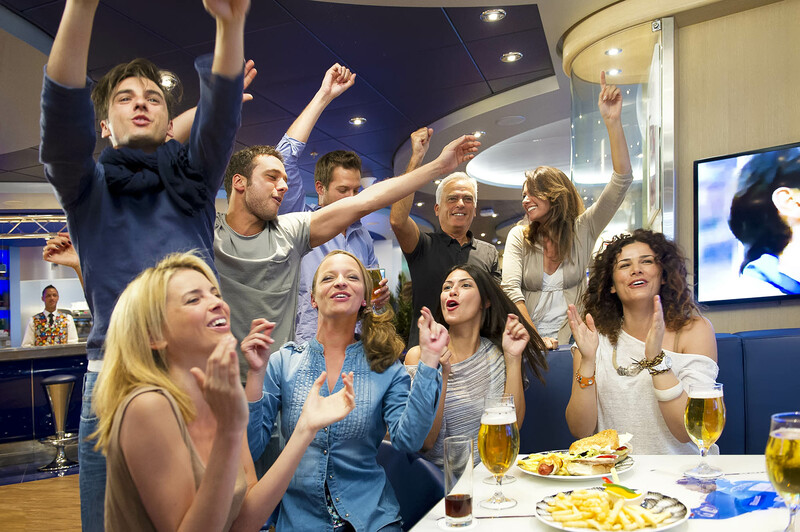 Whether sailing in the Mediterranean, in the Baltic Sea, visiting the fjords and northern Europe or in the Caribbean, MSC guests will join in the worldwide fun that such an event creates. May the best team win, and plenty of fun and relaxation be had.